Berrydales Books – what’s in store…. As many of you may know, over the last two years we have been ‘going into publishing’. This was inspired by Alex (Gazzola) telling us how he had just self published a short manual on how not-to-write a book (Writing Your Non-Fiction Book: A Mistakes-Writers-Make guide) and how easy it was to do via Amazon’s dedicated publishing programme. Why did we not make use of the massive amount of information stored on the FoodsMatter website and do the same? Why not indeed? To test out the idea, we thought we would start by revising and republishing, as an e-book, the Allergy Catering Manual that I had written some dozen years earlier. We then got slightly, although enjoyably, side tracked both by the 10 Year Anniversary Book for the FreeFrom Food Awards and the delightful Freefrom all’Italiana book we did with Anna del Conte. But we got firmly back on track with Dr Janice. Dr Janice (Joneja) had, as many of you will know, been doing a histamine Q&A on the FoodsMatter site for us which had been hugely popular – over 100 queries, each of which she had answered in a short article. Why not, we thought, turn all of those answers into book? 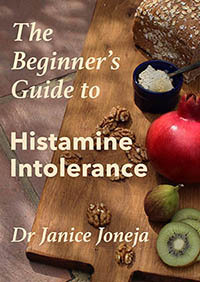 So, under the guidance of editor number one, Hannah, we converted Dr JJ’s short articles into a Beginner’s and then a Comprehensive Guide to Histamine Intolerance. Up went the Beginner’s Guide as an ebook – and started to sell quite well. At which point we discovered that Amazon also offered a print-on-demand service for paperbacks. Ah – hah…. To explain, for anyone who knows nothing about publishing. Under the traditional model there are two major barriers to self publishing. One is cost. Even if you are multi-talented and are able to design and illustrate your book as well as write it, you still have to have it printed. As with all printing, the fewer you print the higher the per item cost. So even if you only print a couple of hundred books, you will still have to lay out several thousand pounds to do so – with absolutely no guarantee of getting any of it back. The second is distribution. You can sell 10 books to your local book shop, and if you already have a strong on line presence via a website or a blog, you may well be able to sell several hundred via your own outreach. But you will not have chance of getting into any of the major book shop chains or getting any serious presence on Amazon. Print-on-demand removes the first barrier as you literally pay for each book as it is requested and printed. The print quality, especially for pictures, is not as good as a top quality traditionally printed book. But for a ‘cooking’ novel or instructional book with no images, it is perfectly acceptable. However, print-on-demand does not help with distribution. But, if you print-on-demand with Amazon, especially if you go exclusively with Amazon, you are not only getting the cost benefits of print-on-demand, but you are getting distribution worldwide through the globe’s biggest bookseller…. What is not to like about that? What indeed is not to like? Provided you are prepared to live with a nagging fear that you may be helping Jeff Bezos to end life as we know it, there is indeed nothing not to like. Amazon offer an extremely efficient, super user-friendly service, a very good return on your intellectual investment – and plenty of help with maximising your sales. OK – every sale you make puts money in their pockets, so why wouldn’t they? But for anyone who has worked with traditional publishers who all too often seem to make little or no effort to publicise or sell your book, this is a delightful breath of fresh air. So, back to the Beginner’s Guide to Histamine Intolerance. At the end of last year, we brought out a paperback version – and they started to fly off the shelves. 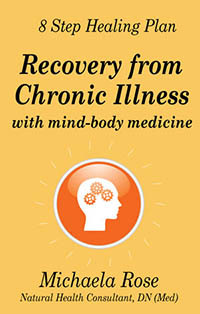 OK, we are not talking Da Vinci Code numbers here, but we have sold over 4,500 copies in just over a year which, for a short manual on a distinctly obscure medical condition, we feel is not bad. Sadly, at that point Hannah, who had shepherded Dr Janice to her 4,500 sales, had to leave us to get a full time job. But we are delighted to say that we have been joined by Sally, an extremely experienced full time journalist and a fellow member of the Guild of Health Writers with a special interest in the same sorts of obscure medical topics as interest us. We had already decided that focusing on simple guides to obscure conditions for which little help was to be got from your GP, or even on the internet, seemed like a good way to go – so that is the way we are going…. The idea is to explain the condition in authoritative, but simple, layman’s terms – and offer a management plan which may not ‘cure’ the problem but which will make it easier to live with. Crucial to the concept is that it should be science based. So each book needs to be written by a well recognised expert in the field and needs to be supported by peer reviewed scientific evidence. But, equally crucial is that it should be aimed at the layman and should be understandable by those with no medical or scientific knowledge. Plus a book of low histamine recipes to complement Dr Janice’s two histamine books, and a book of gluten free vegan recipes – just because we have so many on file! The 50 Food Challenge by Enid Taylor of the Taymount Clinic – Feed your microbiome and improve your gut health – which should be out by the end of the month. And if you can think of an obscure condition which you think would benefit from ‘our treatment’, please let us know. We cannot promise to cover it as it will depend very much on whether we can find a suitable expert to work with and whether there is a management plan which can really help – but we are very much open to ideas. Meanwhile, check in to the new Berrydales Books site for further updates.